Come experience Christmas like you always imagined, with tasty food, good company, fun activities in the snow and, of course, Santa Claus. 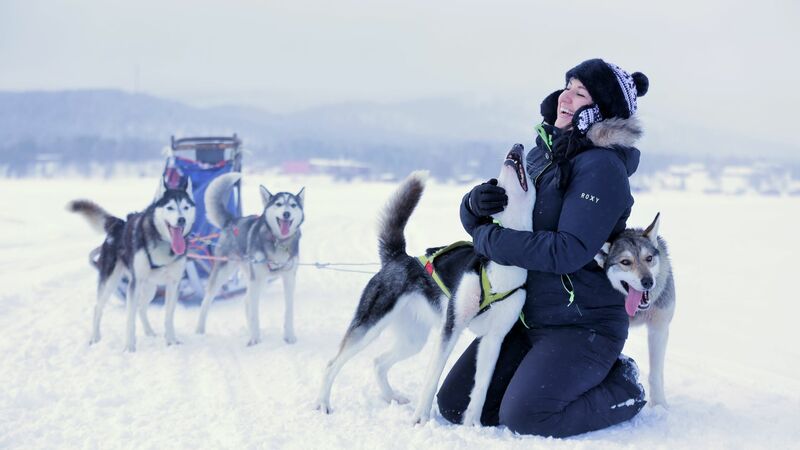 With a group of other travellers, you‘ll get to meet Santa in person at the famous Santa Claus Village, enjoy the thrill of a dog sled ride and learn about the local culture at a reindeer farm. 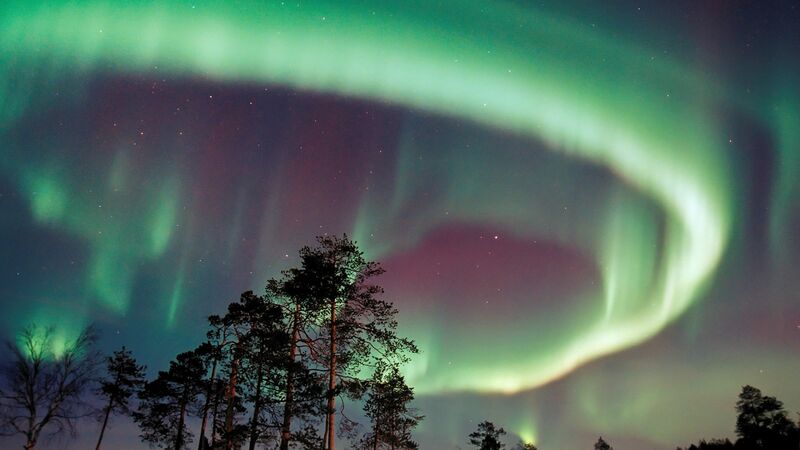 If you‘re lucky, the northern lights may also shine for you at night! Arrive at Kemi Airport where you will be met by a driver and transferred to your hotel in Kemi.The rest of the day is free for you to explore the town or relax in a traditional Finnish sauna at the hotel. In the evening, you will meet your travel companions and tour leader for a welcome dinner at the hotel. Up for a little adventure this evening? If so, you can take part in a guided snowmobile excursion to experience the tranquil beauty of Lapland’s wilderness and, if conditions are favourable, the northern lights (optional; not included). Spend the night in Kemi. • Transfer from Kemi Airport is included in this package. We can also arrange a transfer from Oulu Airport for an additional fee. See ‘Not Included List’ for details. • Please note that the northern lights are a natural phenomenon and sightings cannot be guaranteed. This action-packed day is a treat for animal lovers! Start your special Christmas Eve with a visit to a husky kennel. Here you’ll enjoy a short (half kilometre) but thrilling dog sled ride as well as a hot beverage and snacks in a traditional Sami tepee. You might even get a chance to feed the animals that dwell in the forest! Then your group will continue onwards to Ranua Wildlife Park, where you’ll enjoy a lunch buffet of local specialties in the park’s restaurant. 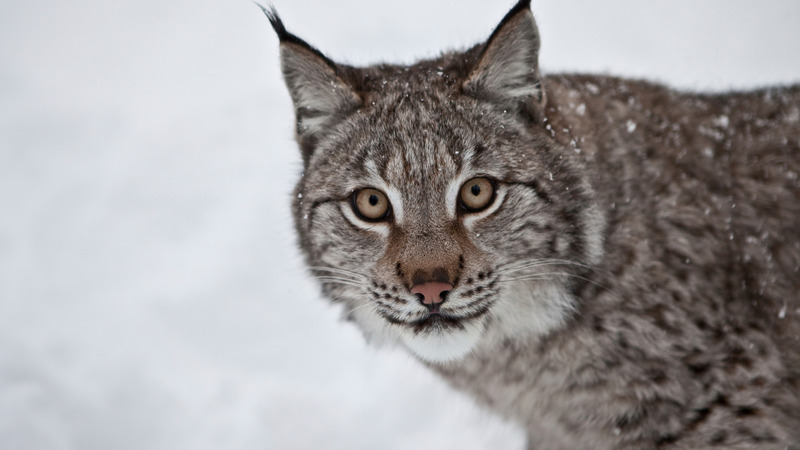 Afterwards you’ll go on a guided walking tour through the park to observe arctic wildlife such as polar bears, lynx and wolves. Before the ride back to Kemi, you’ll have a chance for some last-minute Christmas shopping at the park’s souvenir and candy shops. Back at the hotel, take some time to relax and dress up in your Christmas Eve outfit. Then your guide will meet you at the hotel for the short walk to the restaurant for tonight's celebration. Before dinner, you can help decorate the Christmas tree while enjoying some freshly baked gingerbread cookies and a warm mug of glögg, a mulled wine traditionally served at this time of year. Of course, you’ll want to save room for the festive Christmas Eve dinner buffet! Last but not least, Santa's elves will make a special appearance to spread Christmas cheer and give small gifts. • Two people will share one dog sled and take turns driving. • The ride to the husky kennel is 30 minutes and the ride to the wildlife park is 1.5 hours. Transportation is by comfortable coach bus. 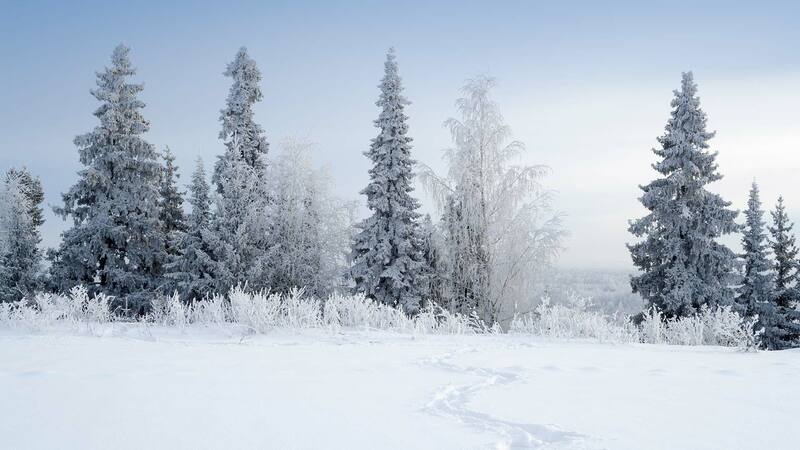 Experience the magic of an arctic Christmas during a day-long excursion to Rovaniemi, the capital of Finnish Lapland. 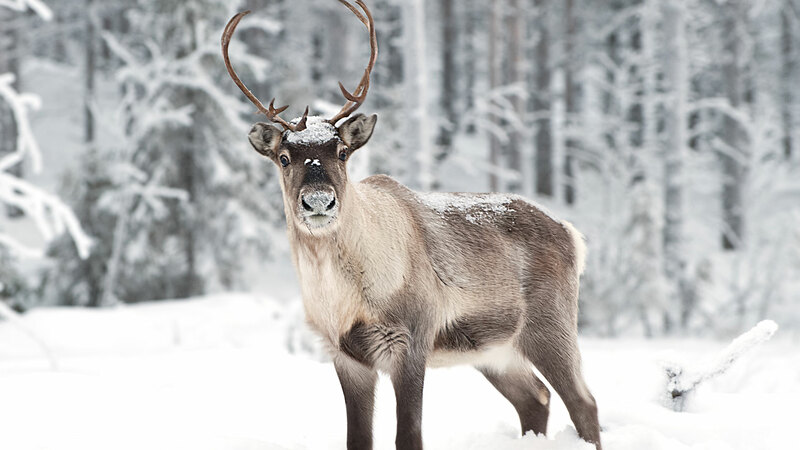 The first stop is at reindeer farm where you will learn about reindeer herding and Sami culture from the farmers. You’ll also enjoy a fun 30-minute reindeer sleigh ride through the woods, which will earn you a special “reindeer driver license”! Afterwards, your group will make a stop for lunch at a local restaurant before heading to the famous Santa Claus Village. 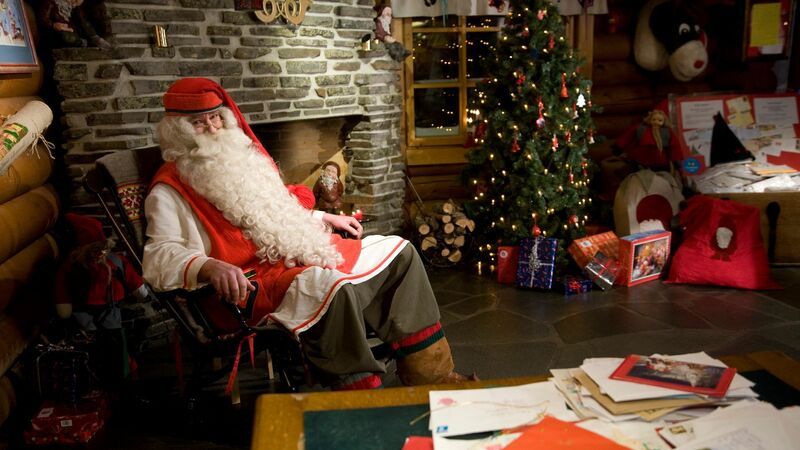 There you’ll get to meet Santa himself at his workshop and do a bit of souvenir shopping if you wish. Departing Rovaniemi in the late afternoon, you’ll be back to Kemi in time to enjoy dinner at your hotel. • The ride between Kemi and Rovaniemi is about 1.5 hours each way. Transportation is by comfortable coach bus. After this exciting Christmas getaway in Finnish Lapland you will be transferred back to Kemi Airport for your departure flight. • Transfer to Kemi Airport is included in this package. We can also arrange a transfer to Oulu Airport for an additional fee. See ‘Not Included List’ for details. This is the first package tour that we have ever booked, as I am used to arranging our travel myself and being more independent. Given the quality of the service and organisation, and how much less stress it was than to do that all myself, I would absolutely consider doing this again. Thank you for the great experience! Our Nordic Visitor agent Jennie was fantastic, answering lots of questions and very fast to respond. Our local guides were friendly, helpful and very knowledgeable. We loved the tour and highly recommend it to others. Thank you for a very special and memorable trip! We had a great time. This was our Honeymoon and we wanted to have a Winter Wonderland Honeymoon. This was more than a Winter Wonderland it was a magical first Christmas together. We were able to learn about a different culture. We enjoyed seeing how Christmas is a universal holiday and no matter where you are in the world people love to decorate and are happy during that season. We will be traveling with Nordic Visitor again in the future. Wondefull experience for all ages!!! Our safari guide went out of his way to make our experiences memorable on the optional safaris. They are a professional group with a heart. Excellent. Our guide on the bus tour, was always there to make sure we were safe, happy and on time for each experience. He kept us together as a group for the 3 days. It was fantastic. The travel guides in Kemi were outstanding which made this special trip even more amazing. I would recommend Nordic Visitor to anyone interested in travelling to Lapland! One word – 'phenomenal'. Hotel Merihovi is located in the centre of Kemi, steps from shops, cafes and other convenient town amenities. Each room offers a c..
You will be travelling in a bus with a group of other guests to all scheduled activities. All activities are with English-speaking guides. Please note that the activities for each day may be done in a different order than stated in the itinerary and will be confirmed closer to arrival. Due to safety reasons this package has a minimum age limit of 4 years old. We charge a 30% non-refundable deposit at time of booking. The remaining payment is due no later than 31st October. Starting with dinner on 23rd December and ending with breakfast on 26th December, all meals are included in this tour. The meals are a mix of traditional Finnish foods, Sami foods and international dishes. The dinners are either 3-course set menus or buffets. A typical 3-course dinner consists of: a starter of salad or soup, a main course such as meat or fish and a dessert such as cake and ice cream. The Christmas Eve dinner is normally served as a traditional Christmas buffet with a variety of dishes such as different salads and fish choices, a Finnish Christmas ham with potato casserole and carrot purée, dill potatoes, gingerbread biscuits, Christmas chocolates, plum mousse and other treats. If you have any food allergies, please let your travel consultant know as soon as possible so we can inform the local suppliers and hotels.